to Sari in the country’s second biggest box-office movie “The Mistress”. as she sends us one more time to the edge of drama via her new soap “A Beautiful Affair”. No quipping. She’ll crossover so suddenly to being happy and gay in “24/7 Inlove”. Hold on and don’t ever disengage. This is a BEA-tiful Affair. 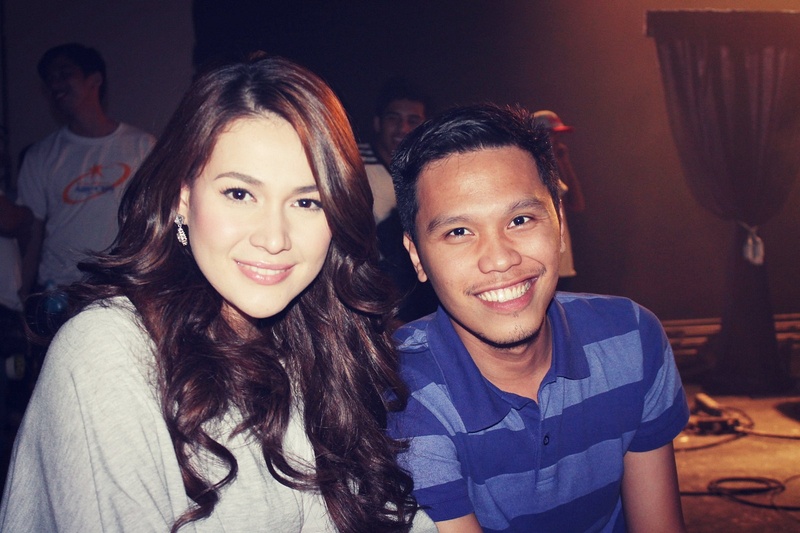 Ever since she was Basha in the 2007 Star Cinema movie "One More Chance", I had always been a huge Bea Alonzo fan. She was just 19 years old when she did that part. How can someone be so young yet so seasoned in portraying a teen romance movie with the mature lines and twists, I thought. When friends ask me who is my female crush, I say, absolutely, that would be Bea Alonzo. So when a fellow blogger friend invited me and another online writer to visit the set of Star Cinema's 20th Anniversary offering, 24/7 Inlove, I was super excited. My blogger friend told me that it will only be Zanjoe Marudo who will be around in Visual Light Studio in Makati. But we were surprised when a smiling laby, who was then being hairstyled, turned around and smiled to greet us. Ugh, she was warm and friendly. I think she could be confused herself sometimes but there is no trace of Bea Alonzo in her real name. She is baptized as Phylbert Angellie Ranollo Fagestrom in real life. Her mom is Filipina and her dad is British but she was born and raised here in the Philippines. We visited Bea last October 15 which was 2 days from her 25th birthday. Yet she didn't make her special day an excuse to pack up early from work. "Hello po", she smiled we went inside her dressing room. She was demure and very lady-like while Zanjoe, her long-time off-screen partner, smiled and kept quiet, obviously tired from that whole day's taping. She recognized some us as we saw her several times previously during her movie press conferences. "Sila po 'yung mga bloggers na in-invite ng Star Cinema palagi. 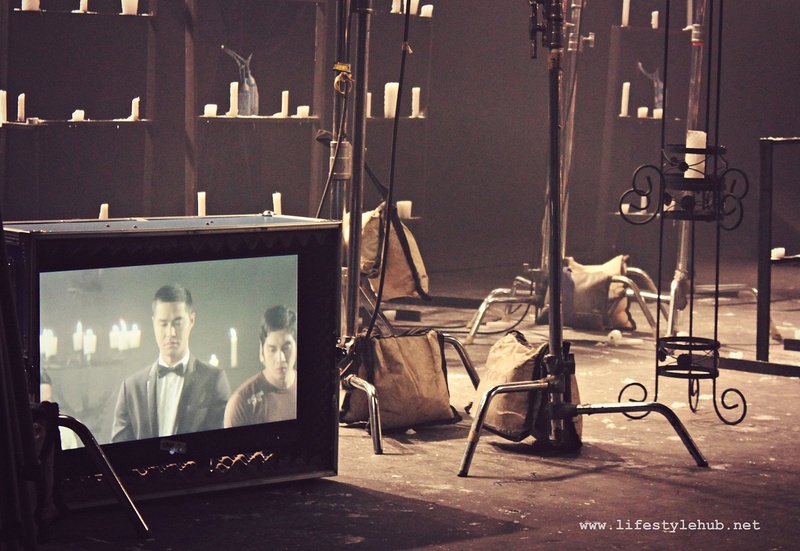 Bumisita lang po sila", she said to her director, the talented Mae Czarina Cruz, as we entered the filming studio. 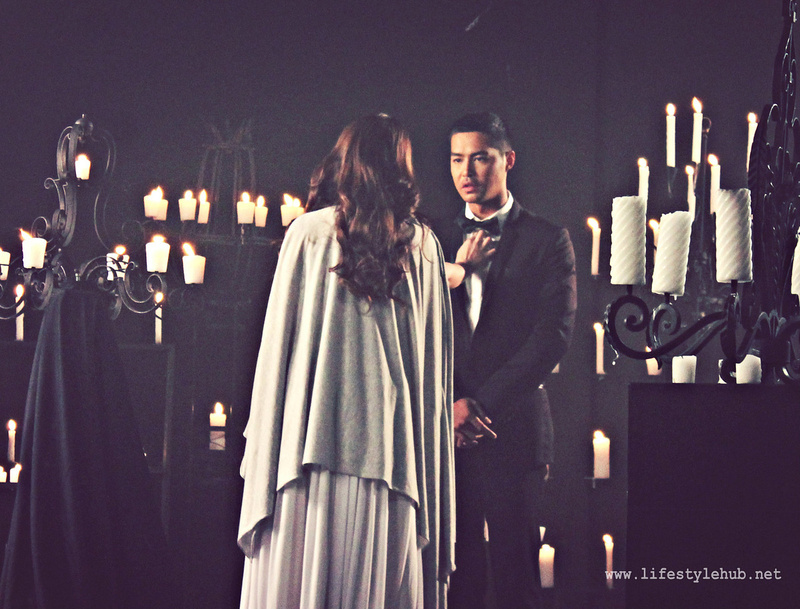 To establish a good shot for Zanjoe on one of the scenes, Bea need to walk pass the camera several times. I was looking at the monitor and all that is seen for that sequence is Bea's hair silhouette. I'm sure Bea saw the screen too as it was just in front of her but she didn't just walk for blocking sake. She walked with emotions on her face, still portraying the role she had in the film as a girl inlove to a gay man who was portrayed by Zanjoe. She did that 6 times. No complains from Bea whatsoever. All she asked from her assistant is a poncho to hide herself from the cold temperature of the studio. The crew were adjusting the set and Zanjoe need to stand on one area of the studio when Bea saw us. We were quietly seated on one side of the studio, just observing. She went to us. "Almost wrapping up na ata", I said. She nodded, smiled and said; "Ata. Kanina pa kami umaga eh". This is proof of how deserving Bea is of all her successes. For someone who is the first in her family to go into showbiz, with her working attitude and with her ability, it would be safe to say that she earned her way to the top. Bea is set to rekindle the fire of her box-office and gigantic on-screen affair with John Lloyd Cruz in the ABS-CBN drama series "A Beautiful Affair". This is her 10th drama series from ABS-CBN and Bea believed this won't be her last. "Hanggang sa kelan gusto ng tao. Kung maganda naman ang kalalabasan at may darating pa na projects, gagawin po natin", she shared, such a pleasant assurance that there will be more of this BEA-tiful affair.